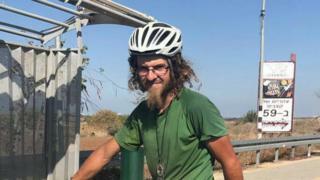 Israeli police and rescue teams searching for a Northern Ireland man missing in the southern Israeli desert say they believe he is still alive. Oliver McAfee, a gardener, from Dromore in County Down, was last seen on 21 November. Israel Police spokesperson Supt Micky Rosenfeld told the BBC the police were continuing to search for him. "If he is still alive and we believe he is still alive, he could be hopefully be out somewhere camping, drinking and possibly eating from other sources," he said. Mr McAfee gave up his gardening job in Essex in April to cycle across Europe and had cycled about 14,000 km (8,700 miles) on what friends described as a voyage of personal discovery. His family contacted Israeli police about his disappearance in late December. Travellers found his wallet, keys and a tablet computer on the trail and handed them in to police. Since December, a police search involving helicopters, dogs and desert search teams has proved fruitless. Supt Rosenfeld said Mr McAfee was last seen in the north of Israel. "We know he was cycling from the north towards the south of Israel," he said. "We know he was in Jerusalem and slept out in different areas - he didn't go from hotel to hotel. "He went via Jerusalem on the Jerusalem trail, which is a path running from the north to the southern part of Israel to Eilat. "His belongings were found in the southern part of Israel in the Ramon crater, a huge open desert area. "His bicycle and other personal belongings, including a tent, are still being examined." Supt Rosenfeld said there was significance in a number of stones which had been moved in one particular area. "There was also a number of pieces of paper with words written from the bible in his handwriting," he said. "So we know down in the south was where he was last walking around. "But at the same time we haven't ruled that out the possibility that maybe he left that area and made his way, into an open area maybe a Bedouin village." There has been some speculation he was suffering from 'Jerusalem syndrome' and Supt Rosenfeld said that possibility was being considered. People afflicted by the syndrome - almost exclusively pilgrims - suddenly imagine themselves to be biblical figures or feel compelled to start preaching on the streets of the city. 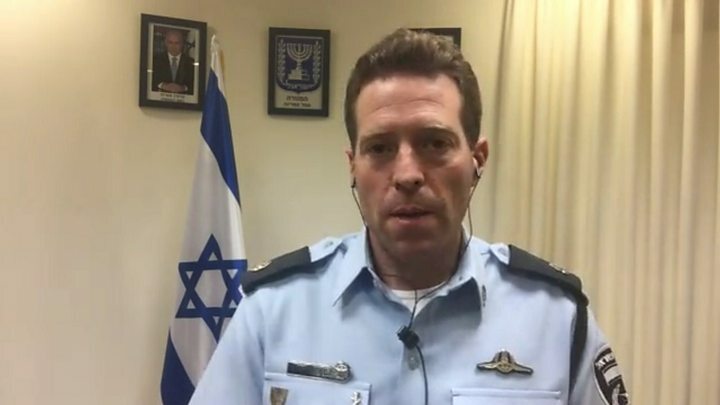 "It's known when individuals arrive in Jerusalem for spiritual reasons and continue walking around, sometimes with strange behaviour," said Supt Rosenfeld. "Of course we are worried about him, but to say he is directly connected to Jerusalem syndrome, I wouldn't say that 100%, but taking into consideration the connection between the open desert area and possibly the fact that he was in Jerusalem, we are looking to see if there is some connection as to why he was out in the open area." He said search team would also be searching nearby villages and have also published his photograph in cities in the south of the country. Friends of Mr McAfee have launched a Facebook page to try to find him.